Corporate debt capital is available with the right approach. Access to capital is a universal challenge faced by small and mid-market businesses throughout the United States. Fortunately, capital is currently available for companies that are appropriately prepared to market their deal. No doubt, today's capital landscape is vastly different than even ten years ago. The insights provided herein are intended to offer suggestions on how to succeed in marketing (and closing) a loan request. The availability of capital is directly proportional to the size of the company seeking financing and the amount of the capital request. Larger, mid-market companies are usually more lightly monitored than smaller businesses, and they are also typically allowed to have more dominion over their cash. Loans to smaller companies from asset based lenders ("ABL") tend to have fewer covenants, but borrowers are forced to give the lender dominion of cash, usually in the form of a lockbox. Pricing for larger deals is generally lower than for smaller ABL transactions due to the need for a larger spread to generate absolute dollars on smaller transactions as the lender covers fixed overhead. Lower pricing for larger deals is also justified by the concept that the default risk is lower for larger entities. Smaller companies are generally subject to greater monitoring of collateral and systems. This is accentuated when the liquidity of the smaller borrower is tighter and the loan facility availability is largely drawn. Lenders often require such companies to have more frequent auditor field exams and appraisals. The lesson for smaller companies is to spend time (and money, if necessary) on systems and books and records. Deals frequently fail if the prospective borrower hasn't devoted sufficient resources to these areas and the lender believes the client is incapable of providing accurate, timely reporting. At a minimum, pricing of a loan will be somewhat variable depending on the lender's perspective on the prospective borrower's ability to manage its accounting function. Keep in mind, when applying for a loan, commercial banks are state and federally regulated institutions. They have regulators focused on compliance risks that are largely out of their hands. As a result, many smaller companies, due to varying factors, would be classified as nonperforming assets upon review by regulators. Because of this, obtaining a loan from a commercial bank is simply out of the question for many small businesses. In this banking environment, relationships do not have the impact they did previously. The good news for these borrowers is that a large network of non-regulated specialty finance companies has emerged to fill the void left by the banks. These specialty finance companies are likely to have more flexible underwriting guidelines, and Essex has worked with numerous such funds that service almost every conceivable form of collateral, loan size and credit quality. Cash flow is king. Perhaps the key factor determining which financing market to approach lies in a simple calculation - earnings before interest, taxes, depreciation and amortization ("EBITDA"). EBITDA represents a measure of how well the company's historical cash flow can service the prospective level of debt. The regulators largely determine how a bank must look at EBITDA, but specialty finance companies can analyze the numbers supporting EBITDA any way they choose, and they can also consider a more creative approach around add-backs to EBITDA. Many companies made hard decisions during the recent economic downturn to improve cost structures that should result in better future performance. The challenge for the borrower is to make certain the underwriter understands the changes and gives the company credit when evaluating budgeted EBITDA going forward. For example, if overhead expenses were cut that should result in improved financial performance, the task is to provide a convincing argument for stronger projected debt service coverage. A solid case must be made that the changes are permanent and not simply revenue related and likely to disappear on the next downturn. Lastly, this pitch must be refined upfront, before getting a lender involved - there is one bite at the apple in raising financing. Many borrowers don't fully appreciate the dynamic within lender organizations between the credit and sales side. Frequently, the sales side may present an overly optimistic appetite for the deal only to have credit kill the deal later (sometimes MUCH later, unfortunately). The art is to understand the internal dynamic at each lending institution and not waste time and resources with lenders that are unlikely to approve the transaction once credit takes over the loan approval process. Asking the right questions upfront to the sales side is critical to evaluating the likelihood of completing a funding. Make certain you fit the specific lender's loan criteria before committing time and resources to that lender. We frequently find companies in need of liquidity haven't considered all possible balance sheet solutions. Often, a CFO will approach us to refinance his company using the traditional methods that have worked in the past, but we find that he or she has not considered other possible avenues available from nontraditional lenders. Non-bank lenders are grabbing an increasing share of the market for business loans as the banks turn down loans formerly considered credit-worthy. Constrained by tighter regulations and still suffering the after-effects of the recent financial meltdown, the government has given banks little choice but to keep lending standards conservative, leaving the field wide open for alternative sources of capital to pick up market share. The primary difference between asset-based lenders and commercial banks is the bank typically looks first to the cash flow for repayment and then to the collateral, while the asset-based lender will first evaluate the collateral and secondarily look to the cash flow. For asset-rich companies, an asset-based loan may make more funds available because the loan is not based strictly on cash flow. However, within the list of hundreds of asset-based lenders in this country, each has their own market niche that they service, ranging from factoring companies that advance funds strictly based on receivables to other lenders whose loan criteria and consequent pricing varies considerably based on their evaluation of the collateral quality as well as cash flow to service debt. Frequently, companies overlook their equipment when considering collateral available to support additional borrowing capability. Most companies have experienced commercial banks and others that are reluctant to use equipment as part of the borrowing base to calculate credit availability. Again, the market has responded to the need and a network of non-regulated specialty finance companies are available to fund loans based only on equipment as collateral, with an inter-creditor agreement to be negotiated with any other lender to the company. The recent decline in overall real estate values has caused regulators to pressure traditional lending sources to "clean-up" their portfolios. Accordingly, performing loans are frequently judged substandard by an appraisal with the necessity to refinance the existing lender. Fortunately, there are many non-regulated specialty finance companies that have capital available for such recapitalizations. It is worth spending the time to research the market to find the lender that will look favorably on the characteristics of your asset class and cash flow to service debt. 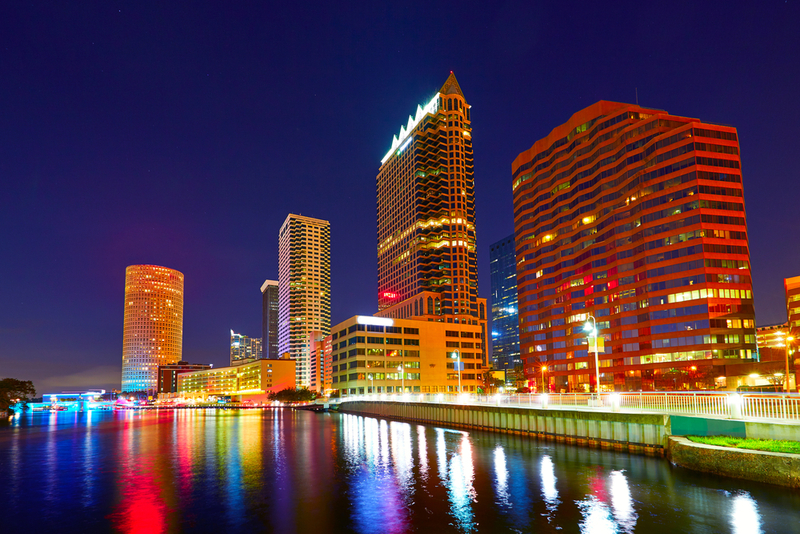 Based in Tampa, Florida, Essex Capital Group, Inc. is a corporate financial advisory firm, providing professional restructuring services to small and mid-market privately held companies throughout the United States. Drawing on over 100 years of collective corporate finance experience, the Essex team is uniquely qualified to help clients successfully source, negotiate and close financing transactions. Subscribe to our newsletter to get updates straight to your inbox. Fill out this quick form to receive ESSEX email updates and/or mailers. Required Fields are noted by an *.